China will increase local governments’ special bonds on “a large scale” next year, to guarantee enough fund injection into key infrastructure projects and to prevent debt risks, said Finance Minister Liu Kun. One of next year’s priority fiscal tasks will be to efficiently mitigate fiscal and financial risks, based on tightening regulations on illegal debt financing activities, Liu said at the ministry’s annual work conference, which concluded on Friday. 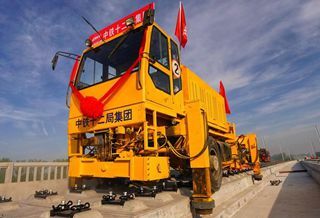 The special-purpose bond, which usually raises funds for targeted infrastructure projects such as railways, roads and shantytown renovation, is seen as the legal financing channel for local Chinese governments. Any “hidden” ways to increase local government debt are forbidden. The fiscal capital, partly collected by the bonds, will be invested in some key areas including transportation, water conservation facilities, energy, ecological environmental protection, rural and agricultural development, and prevention and reduction of natural disasters, the minister said. In the meantime, policymakers will continually promote regulated development of the public-private partnership model, which encourages more participation of private capital in projects, Liu said. An ongoing meeting of the Standing Committee of the National People’s Congress, the country’s top legislator, is deliberating a proposal to assign part of the 2019 special bond issuance quota to local governments as early as January. The quota will be disclosed soon, according to the schedule. It would be the first time that the government provided part of the special bond quota before the annual budget announcement in March. The special bonds were introduced in China in 2015, and the Ministry of Finance has accelerated the reform of special bond management since May 2017. “Local governments will raise funds mainly through issuing special bonds next year, to ensure major infrastructure construction investments,” said Liu Yi, a professor at Peking University’s School of Economics. She said she expected a relatively remarkable amount of special bonds to be issued in the first quarter of 2019, which would help to strengthen economic growth momentum and stabilize market sentiment. A more proactive fiscal policy will play a significant role in stabilizing economic growth in 2019 — a policy tone set by the annual Central Economic Work Conference that ended a week ago. Proactive fiscal policy should be implemented with more effectiveness, with a relatively substantial increase in the issuance of special-purpose local government bonds, said a statement released after the conference. This year, a total of 1.35 trillion yuan ($196 billion) in special bonds have been issued.